If you find yourself in the spotlight, or receiving recognition for the amazing things that you have done, enjoy it! Embrace it! Be humble, yet own your confidence and step forward into the spotlight! Know that you got this! It’s okay to be successful! You may find yourself called to balance multiple priorities or projects – stay centered and grounded. With focus, self discipline, and effort you will achieve Victory! This card can also indicate travel- where are you going to this weekend? Author FreeBirdJourneysPosted on June 15, 2018 Categories Card of the Day, Oracle CardsTags colorado, self-confidence, success, tarot card reader, travel, victoryLeave a comment on Bo Open to Success! A reminder that you are in charge of your life, you and only you! The Chariot shows up when there is a need to control competing forces such as our inner conflicts, people, or a situation in your life. Sometimes the solution to the problem at hand is to take the Middle Road between the two conflicting elements. You may feel unequal to the challenge but if you remember you are the one steering your life, you will succeed & Find balance. You have the means to triumph over all obstacles today and stay the course you have set for yourself. Sometimes the conflict is just within your own mind, once you have resolved this you’ll be able to move forward! Stick with clear thinking today and a sense of purpose to achieve your goals today. Email readings start at $20USD, visit my website for more information. Link can be found above in my Bio 🔝 I look forward to working with you! Author FreeBirdJourneysPosted on April 21, 2018 Categories Card of the DayTags accomplishments, colorado, life balance, success, tarot card reader, travelLeave a comment on You’re in Control! March 28th: One of the greatest imvestments is time in your Spirit! This is one of the greatest forms of self-care! Investment can consist of prayer, meditation, Spiritual reading, taking a class, a seminar, or a conference that assists you in the Evolution of your Spirit. By investing in yourself this way, you not only help yourself, you also help those around you because it raises your vibration. You become more strengthened in your soul and you gain a new conciousness. 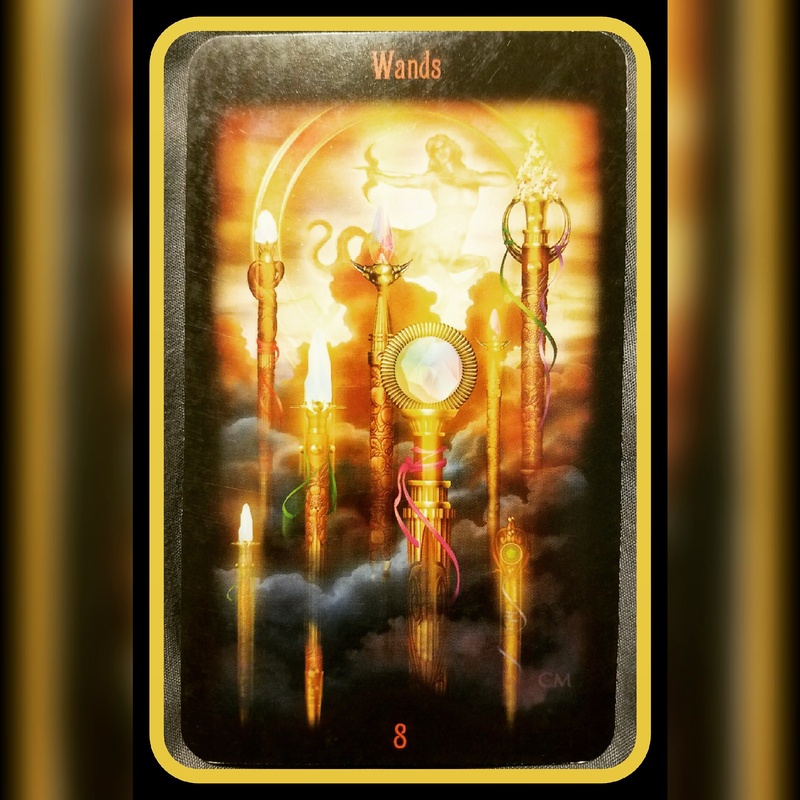 Know that if you have experienced setbacks or delays in this area of your life, or any others, this 8 of Wands that we see here today is a welcome sight!! This card always brings a swift-moving energy into play! Look for a sudden burst of activity and excitement following the arrival of good news… you may also be getting ready to go for a trip often by air! Email readings start at $20USD, visit my website for more information. Link can be found above in my Bio. ⬆🔝⬆ I look forward to working with you! Author FreeBirdJourneysPosted on March 28, 2018 Categories Card of the Day, Oracle CardsTags education, evolution, speed., spirit, spiritual growth, travel2 Comments on Invest in Your Spirit! Keep the home fires burning today! The Queens represent mature women in our life or personality traits that we or others may display, and this woman is warm, attractive, cheerful and always very busy! Loyalty and protection of her family are very important to her. Her friends and family know they can count on her even though she may be running a mile a minute trying to get everything done. She has a creative aspect and loves adventures of travel, an inspiring mother, loyal partner, but fiercely independent. She truly IS her own woman! Now is a good time to move forward in business or a creative venture, like this Queen you have these qualities within yourself to succeed! 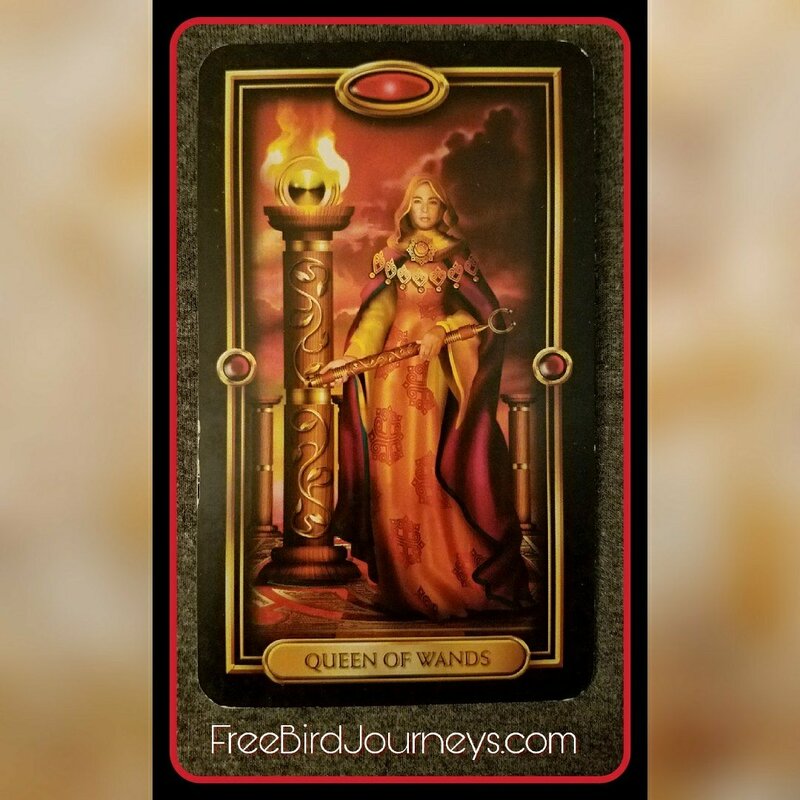 Author FreeBirdJourneysPosted on September 13, 2017 Categories Card of the Day, Tarot Card Meanings, UncategorizedTags action, creativity, fire, friend, home, mother, success, travel1 Comment on Queen of Wands! Coming up soon … A sudden burst of activity and excitement following the arrival of good news, move on to the next phase of your Journey! This may include air travel, a road trip or some other sort of movement! Here we see our hero, the man in the Chariot out to conquer. Words that come to mind are victory, success, speed and will. How did the Charioteer harness all this energy? 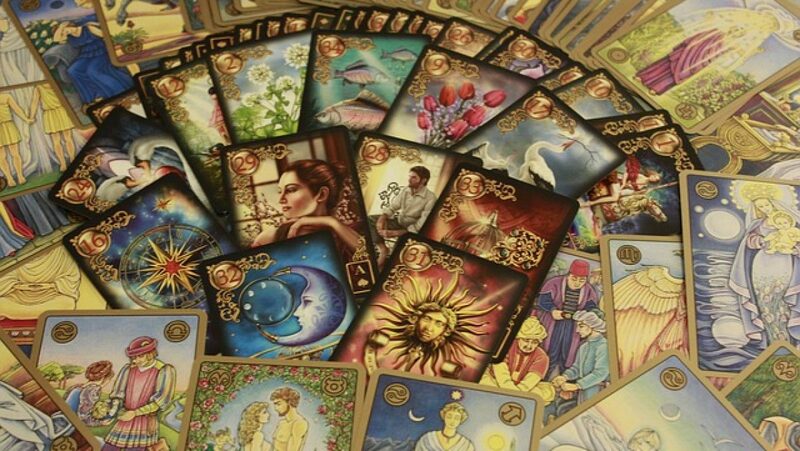 When looking at the previous cards on our Tarot Journey we can see growth and maturity. No longer the adolescent, we now see a mature adult. When we think of a mature adult we usually envision someone who is successful in their life, admired by others, a person of confidence with control over themselves, their mind, their feelings. Maturity is here and instills a strong will and you’re ready to succeed. With maturity also comes a maturity of Spirit. Spiritual victory comes when we can connect to nature, to that which is larger than us and through our conscious will establish a connection. Through our Spirit we are able to focus and release our force. We also learn as we get older to control our ego, this gives us the ability to resolve our conflicts in life. Looking at the card we see the Charioteer holds no reigns, he is guiding the sphinx by the sheer force of his will. This implies his strong character. His emotions are strong, mature, and stable. The town in the background is small indicating his strength in himself and not that of society holding the reigns. In a reading The Chariot is a card of triumph through personal effort. Self-discipline is required so your victory may be achieved. You should be succeed over any obstacles that lie ahead. Just as the charioteer is the driving force you must use your will, intention and focus to persevere. You may also have an inner conflict (rather than external) in order to succeed you need to control this so you may achieve your success. Obstacles and blocks will be removed but you must focus upon your path, if you get distracted you may veer off course. Keywords for The Chariot: Victory, change, travel, big change, new adventures, personal vision, strength of will, moving house, making a major or minor life change in career or lifestyle, a vacation, self-confidence, motivation, determination, personal power.